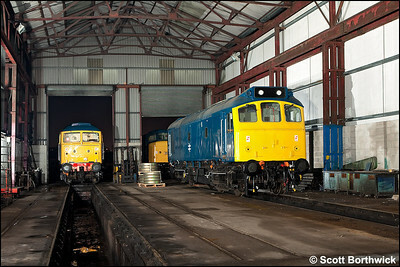 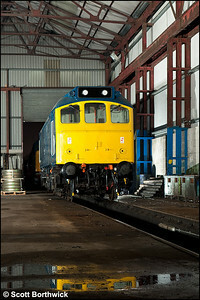 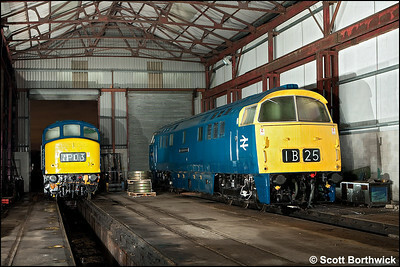 25321 stands inside the shed at Swanwick with 45133 & 47401 'North Eastern' for company on 12/12/2009. 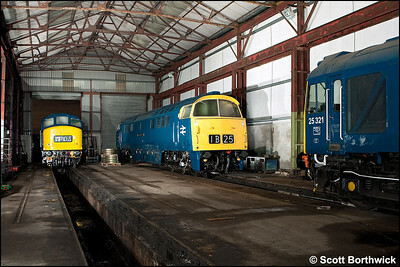 25321 stands inside the shed at Swanwick on 12/12/2009. 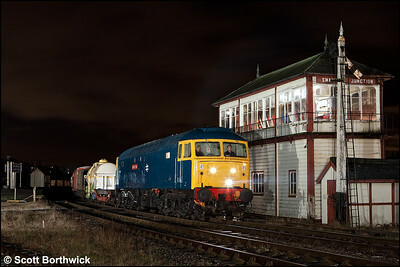 47401 'North Eastern' gets the road at Swanwick Junction with a mixed freight on 12/12/2009. 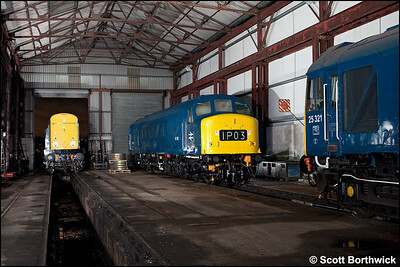 45108 stands inside the shed at Swanwick TMD as 20048 moves cautiously alongside on 12/12/2009. 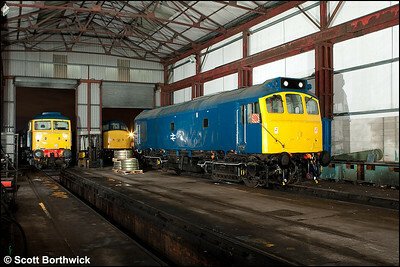 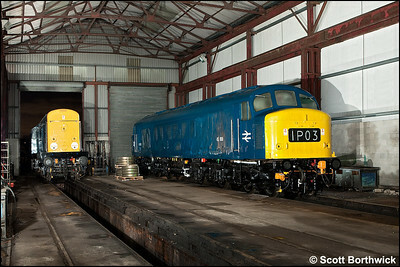 45108 has 25321 & 20048 company inside the shed at Swanwick TMD on 12/12/2009. 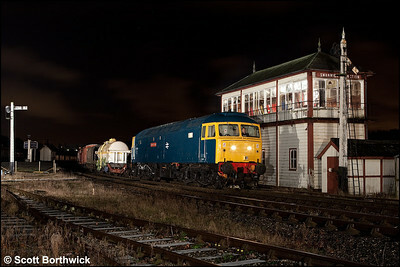 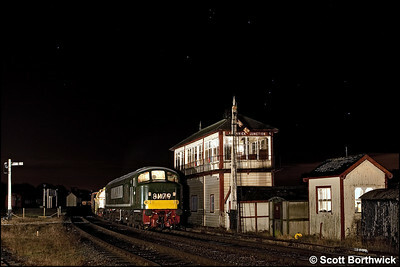 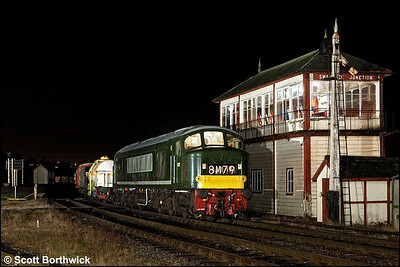 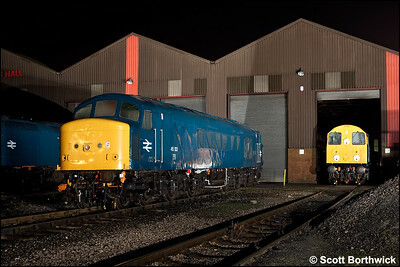 45133 and 20048 await their next duties at Swanwick TMD at half past midnight on 13/12/2009.